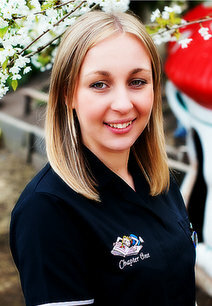 Hi, my name is Becky Jones and I am the proud manager of Shawfair House Nursery. I am very passionate about ensuring the children within our care are given the best start in life, full of opportunities. Having worked with Chapter One Childcare for many years now, I am a strong believer in letting children be children, encouraging them to learn through play and exploration, to get muddy going down our mudslide and warming up in our cosy caravan, or around a fire. My team and I thrive on having great relationships with all our families and we get to know everyone individually, so we can provide the best care possible. We would love to get to know you and your family more too and we warmly invite you to come and visit us anytime to join in the fun.